For my Christian friends on Facebook. Please review this short 20 page expose on how Calvin came up with his new theology and changed the Christian world view. 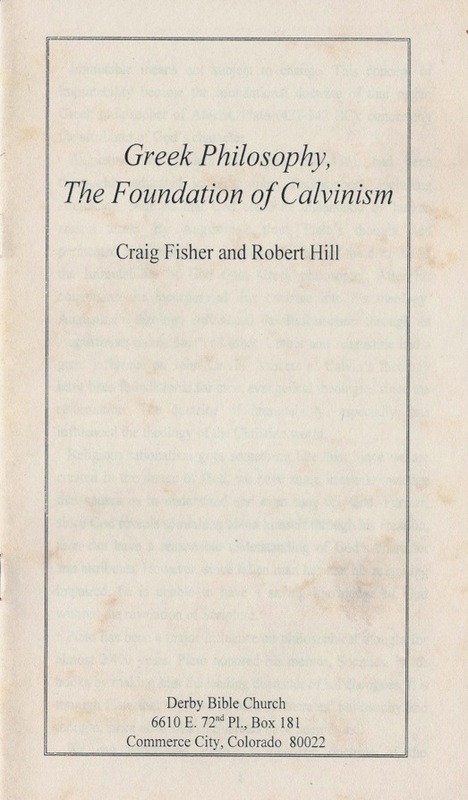 I owe thanks to my good friend and Theologian Bob Hill for his treatise on the error of Calvinism and the clear understanding of Grace in the life of the Christian seeker of Truth. God Bless you Bob! See you in heaven! For best viewing please download each pdf file and then rotate counterclockwise.